A pack of 12 sheets of Gina K Sparkling Silver Fancy Foil. 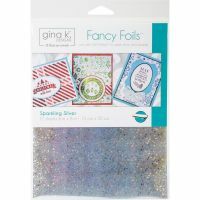 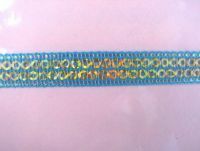 Use the foil with or without a hot laminator to add brilliant sparkle and shine to your projects. 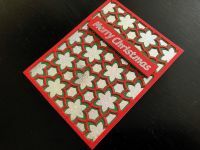 Add colour to the foil with permanent markers, use Sizzix Double Sided Adhesive Sheets to stick it to card stock and die cut it into shapes, or stick it behind a die cut window for a fabulous effect.